The Drawing Room’s huge carved mahogany door opens into a sumptuous sitting area with Bath stone fireplace, antique statuary and rich golden silk fabrics, ideal as a breakout or syndicate room. 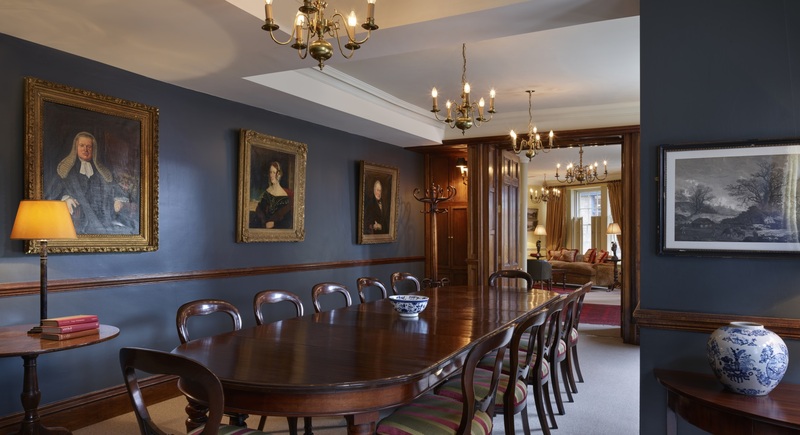 Double doors lead through to the Boardroom, dominated by a mahogany table which can sit 14 comfortably. Up-to-date technology is discreetly concealed. A 5ft presentation screen retracts behind cornicing, whilst four separate data points and double sockets located beneath the table provide ease of access for data and power point presentations. The room comes with complimentary wi-fi access. The Drawing Room is air-conditioned and enjoys abundant natural daylight. By closing the Georgian shutters it can also be fully blacked out.